This Las Vegas version of Quick Hit slots is probably the one I have played more than any other. Especially when I have been in Las Vegas. You will see this game in most of the casinos where they have a bank of Quick Hit games. 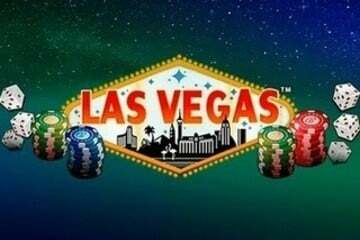 I would say that Las Vegas Quick Hit is the classic - the sounds, the graphics and the bonus game are encapsulate everything that made these slot machines famous around the world. It's a game that everyone should play at least once. When you hit the free spin bonus in Quick Hit Las Vegas, you get presented with a huge selection of tiles to pick from (a bit like the tiles you get in the classic Jackpot Party game, if you remember that one). So, at this stage, you are asked to pick out tiles. What you want, is to keep picking tiles that reveal a high number of free spins. The numbers can go from 7 (the minimum), right up to 25 free spins. But there is more than that. There are also tiles that relate to big multipliers - of 2x, 5x and 10x payout awards. If you get 25 free spins, along with one of these multipliers, you can be assured a pretty good prize. That's where the excitement really starts to kick in. If you are like me and love free spins with big multipliers, then this is definitely a game for you! On top of the free spin round, there is also a decent scatter pay prize. The maximum you can get on this is 2500x your total bet. This is not quite as big as some of the other Quick Hit slots and there does not seem to be a progressive jackpot, but it is still a massive win. I'm sad to say, I never hit that one, but I keep trying.